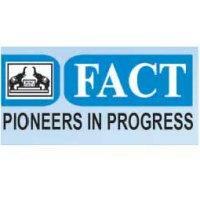 The Fertilisers And Chemicals Travancore Ltd – FACT Recruitment 2019 scheduled walk-in for 65 posts of Field Assistants for Any degree graduates. The detailed eligibility and venue details are given below. Age limit (As on 01.03.2019): Below 35 years. The selection process will be on the based on the performance of Interview. How to apply for FACT Recruitment 2019? All interested and eligible candidates can attend walk-in-interview along with required documents at the following venue on 26 March 2019 to 17 April 2019. Documents Required: The applications in the attached format giving name, photograph, date of birth, communication and email address, contact telephone number, details of qualification and Original & self-attested copies of certificates to prove age & qualifications, may be submitted when the candidate appear for walk-in Interview.